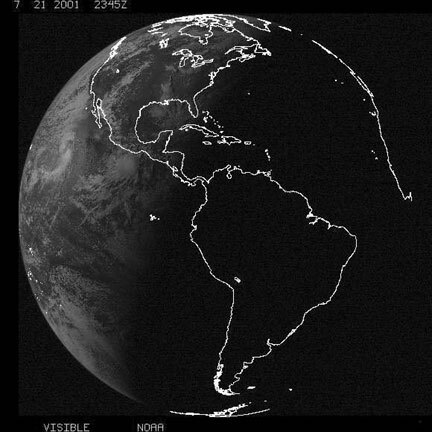 The Dark side of the earth roughly starts at the terminator, or the border between darkness and light. In this case, there is light beyond the pole, even with the sun being 1.5 degrees below the horizon. In fact light is seen for one or two more degrees of latitude beyond the pole More such comparisons are needed. The Terminator border in the Polar regions are largely displaced due to strong refraction well beyond horizon refraction found at the equator, because of extremely cold and dense air at the poles.Global Warming will reduce this disparity, this can be measured from space quite easily. 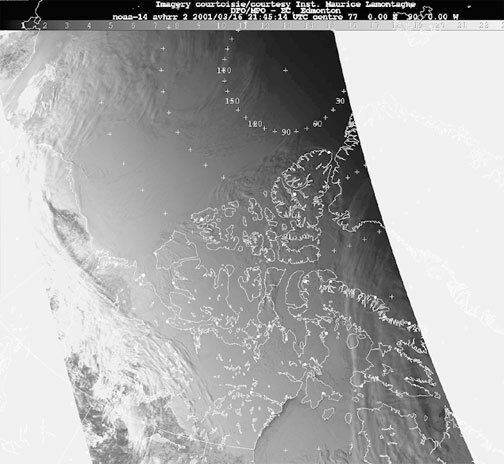 Nov 15 2001, if you look at the database picture of the 15th of November, it is extremely bright outside. 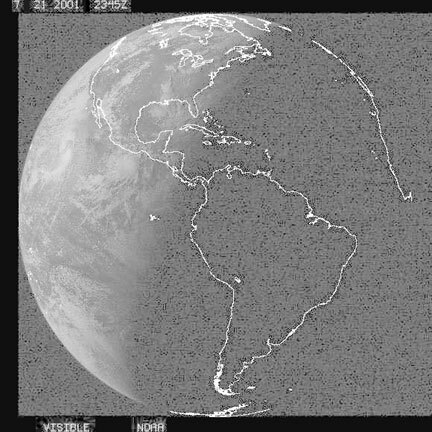 Yet the satellite picture does not show this at all. 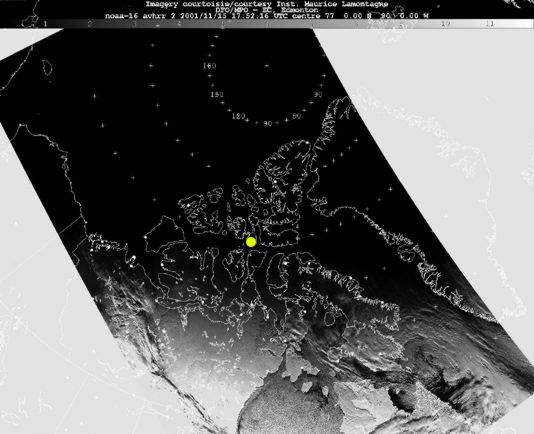 Even with the satellite with picture gray levels enhanced (to the right) Resolute Bay is still Northwards of the terminator. 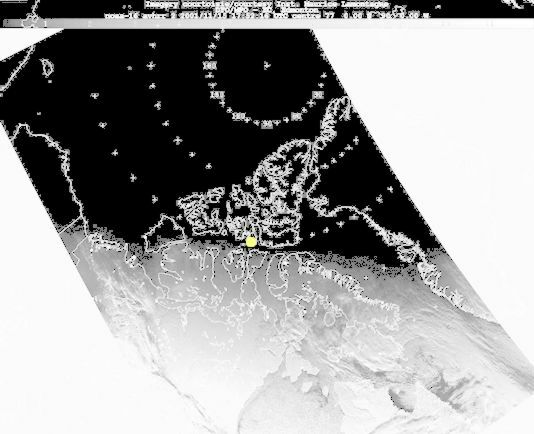 This means that satellite pictures are not set for brightness, but rather for picture quality within the zones below. This also means the terminator in Arctic winter is much beyond a sun position 3.5 degrees below the horizon.